A small town hides big secrets in The Dry, an atmospheric, page-turning debut mystery by award-winning author Jane Harper. "One of the most stunning debuts I've ever read. I could feel the searing heat of the Australia setting. Every word is near perfect. The story builds like a wave seeking the purchase of earth before it crashes down and wipes out everything you might have thought about this enthralling tale. Read it!" "The Dry is one of the most talked-about debuts of the new year....Harper’s story is tightly plotted and moves briskly, the tension as brittle and incendiary as the dried-out crops on the Kiewarra farms. But it is the beautifully evoked landscape and the portrayal of a gloomy outpost on the edge of a desert that are the stars of the show." "Harper writes with precision and creates a tense atmosphere on the brink of combustion." 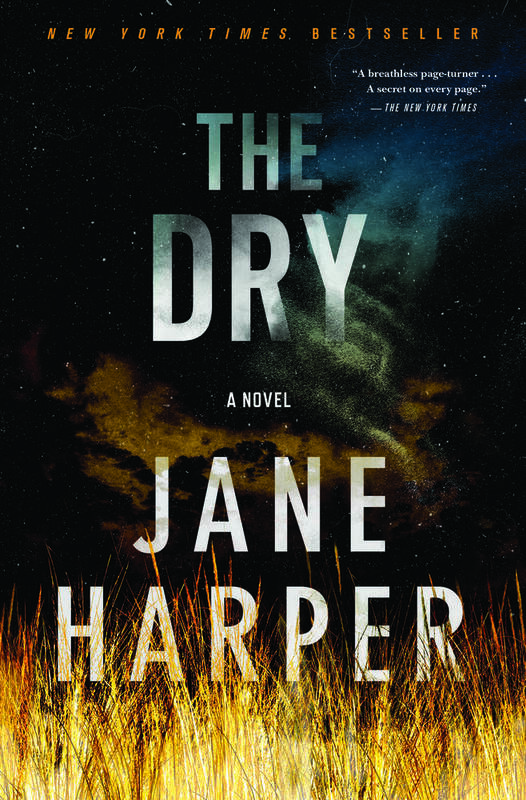 "With The Dry, Jane Harper immediately takes her place among the elites in the mystery world. If this book doesn't garner an Edgar (Best First Novel) or two (Best Novel), there is no justice. Terrific characters, unique and evocative setting, knockout plot construction. This book has it all." "Every so often a debut novel arrives that is so tightly woven and compelling it seems the work of a novelist in her prime. That's what Jane Harper has given us with The Dry, a story so true to setting and tone it seemed I fell asleep in Virginia only to wake in Australian heat. It's rare, that sense of transportation, and I loved every minute of it. Thank you, Jane Harper." "Told with heart-breaking precision and emotional power...If you read only one crime novel this year, make it this one." Jane Harper has worked as a print journalist for 13 years both in Australia and the UK. She is originally from the UK and moved to Australia in 2008, where she lives in Melbourne and writes for the Herald Sun. The Dry, her debut novel, won the 2015 Victorian Premier Literary Award for an unpublished manuscript.